This season’s Wellness Wonders of Arizona successfully boosted the health and wellness of communities around the state. The free, six-week challenge wrapped up on November 12 with over 600 participating community members from more than 65 Arizona businesses. 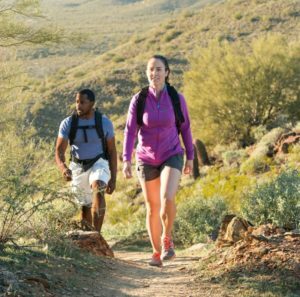 The seven Wellness Wonders of Arizona showcase the unique features of Arizona and encourage physical activity and community involvement. Participants competed in outdoor activities such as Mountains & Parks and Farmer’s Markets & Gardens, where they would mark each activity as complete once they hiked a mountain, walked a trail, visited a local farmer’s market, or planted a garden. Since mental health is an important issue, this season’s challenged incorporated mental wellness. The fall into Wellness activity was an online quiz that participants took to test their health and wellness knowledge. This season, the quiz highlighted the science behind laughter and why laughing can support an individual’s wellness. Over 92% of participants completed this activity! Some activities even encouraged providing support to participants local community. The Fit for a Cause Wellness Wonder challenged participants to make a positive impact by participating in a local charity race, helping a neighbor, or volunteering with a local non-profit. Participants don’t leave this challenge empty-handed! 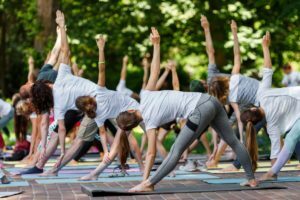 With community partners, and Wellness AtoZ employers, such as the Arizona-Sonora Desert Museum, Advanced Genomic Solutions, Fox Restaurant Concepts, and Southwest Airlines, participants were incentivized to complete activities in the challenge. Each week, the Wellness AtoZ team selected four individuals to receive a prize for completing each activity. Over 25 prizes were awarded to participants this season. 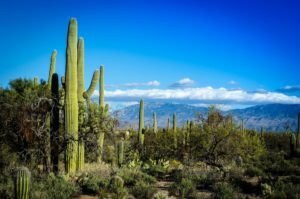 The next Wellness Wonders of Arizona challenge kicks off in spring 2019! Don’t miss out on new activities and, of course, the chance to celebrate the second annual Wellness AtoZ Day. Stay tuned for details coming soon!